Elyès Jouini is the vice-president for research of Université Paris-Dauphine and former Minister for the Economic and Social Reforms of the Tunisian transition government. He currently serves as the President of the Fondation Paris-Dauphine, and as Chairman of the Institut de Finance of Universitè Paris-Dauphine. Named best young French economist in 2005, Jouini was also a member of the Economic Analysis Council (attached to the French Prime Minister) from 2008 to 2010. I will remember that phone call of January 20th 2011 for a long time. Six days after the flight of the Tunisian president Ben Ali, the Prime Minister, Mohamed Ghannouchi, called me and said, “I need you to form a new government.” I asked for a few days to organize my departure from Paris, but Mohamed Ghannouchi passed the phone to one of his advisers, who said, “the situation is too unstable, come as soon as possible.” So the next day, I took the 8am flight for Tunis and settled in an office adjacent to Prime Minister. My role was to attend all of the Prime Minister’s meetings and assist him in forming a new government, which would become the second Ghannouchi government. In terms with the Constitution, after the flight of President Ben Ali, the President of the National Assembly became Interim President and the Prime Minister appointed a new government. The new government was immediately criticized by the mob for not being that new, because although there were some figures from the opposition, the first Ghannouchi government had too many former ministers and close aids of Ben Ali. Therefore, the challenge facing us was to form a government that was able to stop the total vacancy of power and was able to govern with the consent of as much of the population as possible. I noticed this total vacancy of power upon my arrival in Tunis, when I presented myself at the office of the Prime Minister in the Kasbah. When I said I had an appointment with Mr. Ghannouchi, I was told, “His office is on the first floor.” No one checked my identity or whether I actually had made an appointment. It took several days to realize that the security of the Prime Minister did not fall under the police, but under the presidential guard, and as the leaders of the latter were arrested, nobody was ensuring the security of the Kabash! The whole week was dedicated to consultations with the main forces of the country, and was marked by a struggle between those who wanted no change and those who wanted a government with the strongest possible foundation and legitimacy. Therefore, Ghannouchi advocated a government largely made up of technocrats, that is, competent individuals who didn’t have political issues. Figures ready to ensure the transition of government, so that at the same time the political forces could put themselves in marching order, organize themselves, occupy the political arena, discuss, debate, and prepare the next steps. 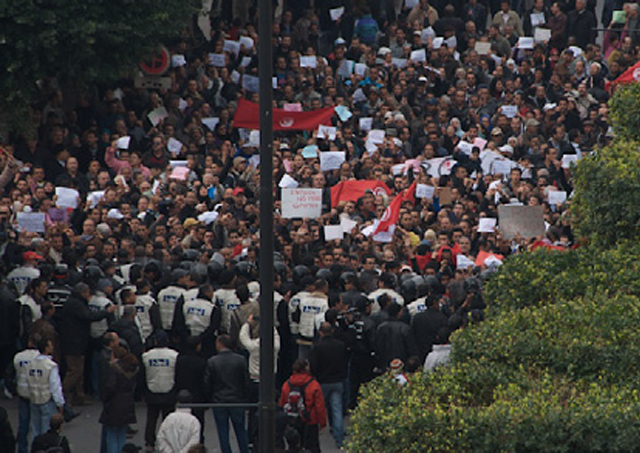 Tunisian protestors take to the streets, sparking the Arab Spring. After a week of marathon negotiations, the government was finally almost created and I accepted the position of Minister to the Prime Minister. I was in charge of economic and social reforms, and the coordination between the ministries involved. Within five weeks, without any political experience, I was the de facto number two of the Tunisian government in charge of organizing the democratic transition. Number two of a government that was immediately faced with a three sided challenge: how to transition the government, while ensuring that Tunisia is being placed on a short-term and long-term virtuous path, how to deal with current affairs, while initiating the construction of future institutions, and how to respond to the many legitimate requests that should be made by a real and legally constituted state. Protester during manifestations in front of government buildings. The task was tough, especially because the government did not intend to last more than six months. The task was tough because building democracy is not only implementing a transparent and fair democratic structure, but also ensuring that elections are conducted in a socially and economically peaceful environment, in which everyone can take stock of the hopes and challenges opened up by this revolution. Hopes and challenges, because it was not about restoring social peace at the price of the sustainability of our actions. It was not about harboring false hopes and distributing the benefits likely to generate the crises of tomorrow. The government’s goal was to establish democracy in a peaceful climate, within the time promised, and to leave a healthy economy for the next government. Furthermore, a successful transition to democracy after decades of autocratic rule was a cumbersome task – especially in attempting to build a legally constituted state while at the same time preserving the many achievements of 55 years of independence. Although the responsibility was enormous, it was a very exciting task. 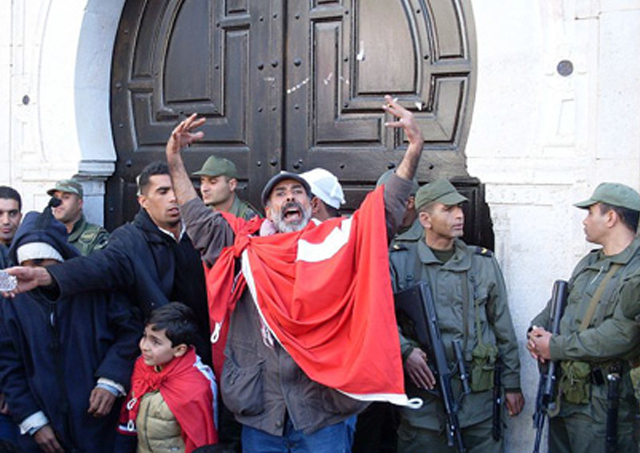 The transitional government was there to allow the release of energy that was necessary to build tomorrow’s Tunisia. The transitional government was there to avoid the political and institutional vacuum that constituted the greatest danger for the revolution, the return of dictatorship. Nothing predestined me to enter a government, nothing but an education, a journey and values. Through education primarily based on example, my parents left me the strong values that guide me: respect for others, concern for others, and the pleasure of giving. Acting for others and acting in the public interest was, and still is, the motivation for my actions. I grew up with the image of my great-uncle Mohamed- Salah Mzali, former Minister and President of the Council. He enjoined those who would listen to not forget their duties towards those who came before them and those who would follow them, and loved to quote Gustave Le Bon, “Respecter les traditions est une condition d’existence, savoir s’en dégager lentement une condition de progress.” Which translates to: “Respecting traditions is a condition for existence, knowing how to diverge from them is a condition of progress.” Being part of continuity, innovativeness, and developing things are also some of my key traits, which may have been what made me think I had a role to play in the democratic transition; a role of promoting the long-awaited radical change, without rupture. All of this would not have happened to me without the government’s policy, which has been in action since the Tunisian independence, granting scholarships to the most brilliant secondary school students for a preparatory class for admission to the Grandes Écoles in France. My results in high school allowed me to receive such a scholarship. “Never forget that you carry the Tunisian passport and never forget what you owe to your country,” told us Mokhtar Latiri, who was in charge of this scholarship program, to which he added, “and be polygamous!” which meant, being able to take on several activities simultaneously, and knowing how to be multiple. Thus, in 1984, I went to the Ecole Normale Supérieure in Rue d’Ulm to study mathematics. It was in this institution, which formed the largest number of Fields medal winners in the world, that I prepared my PhD in applied mathematics and was immersed for the first time in the world of mathematics. Never forgetting my duty to “polygamy,” I created at the same time the Association of Tunisian Grandes Écoles, which now has over 3,000 members and branches in Tunis, Paris, London, and wherever else Tunisian skills shine. In 1989, at the age of 24, I was recruited as an Assistant Professor at the University of Paris 1 Panthéon-Sorbonne, and at the age of 27, I became a full Professor there. 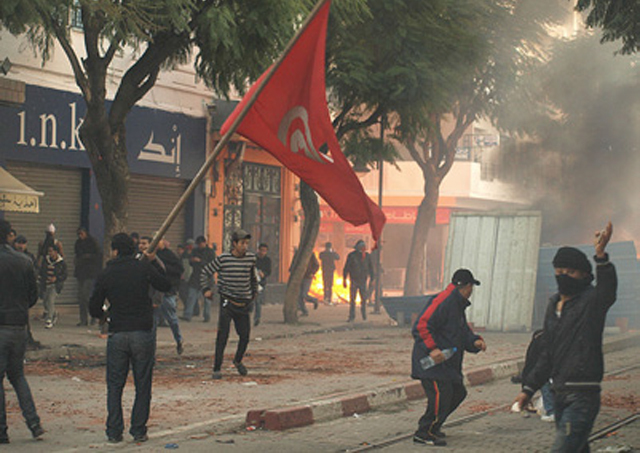 The transitional government was there to allow the release of energy that was necessary to build tomorrow’s Tunisia. From a scientific point of view, my work is an interdisciplinary combination of mathematics and economics. From a geographical point of view, I have one foot on either side of the Mediterranean, since I also taught in Tunis and participated in the great reform of Tunisian higher education initiated by Mohamed Charfi. I’ve participated in creating Tunisian preparatory classes, in developing mathematics, and in creating the Tunisia Polytechnic School. A few years later, I would also participate in the reform of the pensions sector, while teaching at the Stern School of Business at NYU. For me, being “polygamous” meant building my career on both sides of the Mediterranean. It was in both of my countries that I had the opportunity to teach and help develop the education system: as a member of the Tunisia National Commission for University Reform (Commission Nationale de Rénovation Universitaire), and a member of the High Council of Science and Technology (Haut- Conseil de la Science et de la Technologie) in France; as vice president of Paris-Dauphine University, and director of Tunis-Dauphine; as member of the Council of Economic Analysis in France, and administrator of the Bank of Tunisia; decorated with the insignia of Chevalier in the Order of the Legion d’Honneur in France, and Commander in the Order of Educational Merit in Tunisia. This is how I have never stopped being double. Being double encourages tolerance, listening, and understanding each other. Being double also means to live twice as intensely, provided that you do not get lost. As Jorge Luis Borges wrote, “tout homme est deux hommes et le plus vrai est l’autre.” Which translates to: “every man is two men and the truer one is the other.” This has allowed me to never cease to be vigilant about my involvement in Tunisia. Thus, in 2008, I decided to give up my position of Administrator of the Bank of Tunisia rather than sitting alongside the members of Ben Ali’s group when they decided to seize the bank and endorse their methods. Chance or premonition, this text had been finalized and published on 20 January, on the same day of the telephone call from Mohamed Ghannouchi. So, for five weeks, in charge of “economic and social reforms, and coordination with the ministries involved,” I was working day and night in the tense atmosphere of revolutionary Tunisia. Outside my offices in the Kasbah demonstrators were standing to demand the fall of the government. I was questioned myself, by some in the revolutionary movement; as a Tunisian from abroad, my patriotism was questioned. Protesters raid the streets in opposition to the government. Although I had resigned from all my mandates of company administrator before entering the government, I was suspected of conflict of interest. The government that I was part of had managed to restore an almost normal situation at the institutional level. This government of technocrats was the only possible solution to maintain continuity of the State while waiting the replacement of a policy not related to the former regime. As a Tunisian from abroad, my patriotism was questioned. This is a new period that starts today. Outside the government, I had endeavored to mobilize my network to the service of my country. I took on the role of Sherpa of the Tunisian government for the preparation of the G8 in Deauville, whose guest of honor, together with Egypt, was Tunisia. In Tunis, I have just founded a think-tank to consider reforms in a spirit of social liberalism, attentive to the redistribution of wealth.